I currently own a virtuoso c-pen for about a year now, and would it be fair to say that Ultimate 2 is quite similar to virtuoso but with more gears at the top end and not too stiff? I might get it to try it out. Can someone post some pictures of their ultimate ll ?? JoeB, its on the OSP online shopping website. Look at the New Arrivals section. The pictures are pretty much what you will get. Still enjoying my V+. Anybody could compare it with UII? What is the difference? Currently testing Rasanter r42 and Aurus Select on it. Feels good. Good control, stable blocking and nice loops but definitely lacks some speed for more advanced players. I've had my UII for about a month now. Paired it with Xiom Omega V Asia. Previously played with the V+ for 2 years, first with XOVA and more recently with Tenergy 80. Gotta say, UII with XOVA is like butter. So smooth and very spinny though I can't say if it's more spinny than the V+. Seemed comparable to me. Looping from mid distance is effortless compared to the V+. Yesterday, I was practicing with an inverted chopper and it was so easy returning heavy chops where my loops were barely skimming the top of the net. With the V+, I had to lift more to get the ball over the net. Control with the UII is comparable to the V+ despite the increase in speed. Against a heavy looper, blocks were very precise and easy to place to different parts of the table. The short game is not as precise as the V+/T80 though. Short pushes seem to pop up more. However, chopping is better with the UII/XOVA than with V+/T80. I was able to chop fast and deep more consistently. The added speed also helped my BH flips as it gave me more confidence to try flipping serves I wouldn't try before. Overall, a nice upgrade. 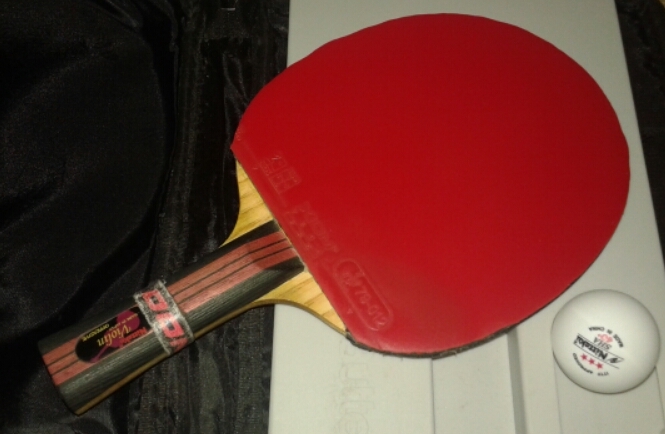 My Virtuoso has been shipped, really looking forward to putting some rubber on it and taking it to a match. how is a weight balance with OVA both sides? V+ seems quite head heavy blade (mine is 88g) even with not heavy rubbers like aurus select 1.7 and rasanter r42 2.0 mm thickness. My blade is 90g and feels a little head heavy as well. However, adding grip tape seems to reduce that feeling somewhat. in spite of OSP's insistence that this blade is not supposed to have a "classic old stiga feel" - it does feel like a slightly strange upgrade to my Virtuoso. i took it out for another spin today, and also brought along my V and my YE (all with STN and Rasant). All games were with DHS D40+ balls. Out of 5 matches today against my most regular opponent, the UII was the only blade that I won more than 1 game per match with, and in fact I won a best of 5 using it. This, in spite of the fact that I have years of practice with the V, and that the YE is the most controlled and versatile setup I have used (it has a load of spin and a killing gear from the flex). None of those things mattered, and the UII was the supreme blade in my quiver today. The biggest trouble i have with the UII is difficulty serving; something about it (weight? kick?) feels different enough that it throws off my timing on serves. But I'm not sure if STN and Rasant are the best rubbers for the blade, I like them on flexy 5 ply blades with limba outers; jury is still out as to whether I will pony up the $$$ for Stiga Genesis M and Tibhar Aurus Select as modern replacements. I had the same issue in the first 20-25 hours of play. It feels good now. I suspect my new rubber just needed to be broken in. The sponge doesn't feel as hard as when I first put it on. Here it is, it arrived extremely quickly... Weight around 86g. The handle is extremely comfortable. This week I'll apply a bit of varnish (not really sure if it needs it to be honest, because the wood seem to have some sort of very thin layer of sealer). And I'm going to put a tenergy 05 FX and DHS hurricane 3 on it. The blade is really beautiful and has very nice feel to it, I'll install the rubbers this week and hopefully get to try playing with it as well. what is the weight in grams? is the handle specially made? weight is 86g, yes I asked for the custom handle option, and instead of providing my design I opted for an example they had on the website. It looks really good. Revolution3 is great and will not harm the top ply. Rasant plays well on this blade. FH or backhand, there is good harmony on most strokes. Topspinning against a variety of balls is effortless, and the balls have decent pace and spin. However I would have expected Sanwei Target National to break in by now, but this sheet is different. Unlike the sheet of STN on my Yasaka Extra that I love (which is loaded with scuff marks and looks like a classic chinese topsheet with plenty of natural rubber) this sheet appears to be more synthetic. Even after 10 hours of games, the topsheet is scuff free, looks brand new. But is slower and less predictable than my older sheet. Not sure if STN just doesn't pair well with the blade or if I got a dud sheet that is cosmetically nicer, but is less forgiving than H3. The reason I use STN is because it is much easier to use than H3. As long as my footwork was decent, the blade flathit very well, and l balls were low throw with decent spin. I had a little trouble playing off the table more than 1 to 2 feet back, with my forehand. So... I am looking at this as an excuse to try stiga genesis M.
How is Virtouso -+ compared to bty Korbel? Which is most close to Korbel? Why should i choose Virtouso and not Korbel, some stiga 5 ply blade or something else? I want a 84-85 g blade. I've never played with a Korbel but from what I've read, either of the Virtuosos will be similar to it. However, you will pay more for the Virtuoso because they aren't mass produced like Butterfly. FYI, the Korbel is listed as 90g while the Virtuoso-+ are listed as 85-90g. If you order a Virtuoso and request an 85g blade, since you're dealing directly with the manufacturer, they will do their best to accommodate you. Just put your request on the order form. With the Korbel, you're limited to whatever the dealer has in stock. Another blade that is similar but less expensive would be the Adidas/ITC Challenge Force. The Adidas may be hard to find since they are no longer in the table tennis business, however, ITC was the OEM for Adidas and they are still around. Tenergy 05 FX on the forehand and DHS hurricane 3 on the backhand. Amazingly comfortable and easy to control bat. I'm really happy I got it. With the Sanwei Target National forehand, the UE2 is spinnier on both service and brush loops than my clipper or ludeack; maybe feels a little softer and with a little more dwell than either. When driving the plastic ball, I can't tell the difference. Backhand topspins with Rasant are similar between the three blades, but that is probably a limit of my technique. It has a pretty good "slow gear" and a reasonably solid "fast gear". This the only blade in recent memory blade that I have had to make conscious adjustments on service to control placement and power. Was worth it. 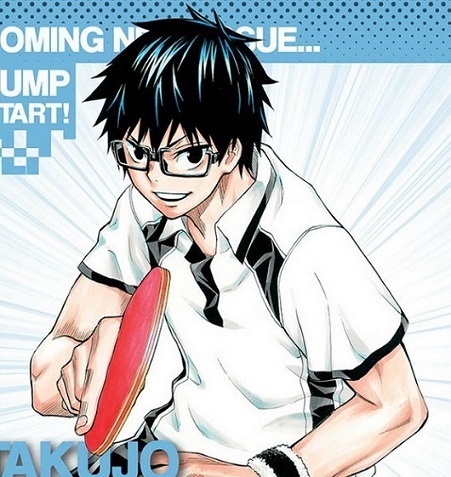 A couple of my regular opponents have more trouble receiving serve from this blade. Added Stiga Genesis M to the blade and got very good harmony. The setup is noticeably lighter, compared to (Sanwei Target National on Forehand) and, as expected, defensive and counter topspin play is a bit easier. I just ordered a U2 . I have been playing Acoustic for a while so this should be an interesting comparison. In what kind of handle (FL, ST or AN)? Hello. I am using a xiom offensive s with t80 both sides. Can I get some improvement if I will buy a virtuoso plus using the same rubbers. Any advice would be appreciated. Thanks. Hi, riscado. Are you still playing with this combination? How do you like the T05fx on the Virtuoso? Hi, riscado. Are you still playing with this set up? How do you like the way T05fx plays on the Virtuoso?